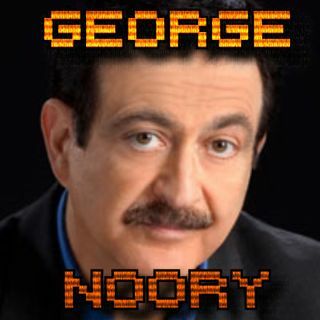 #67: George Noory is my guest. GEORGE. FREAKING. NOORY!!! I grew up listening to Coast-to-Coast AM. George Noory was my 1st inspiration to get into radio...and almost 20 years later...I have the supreme privilege of having a chat with him about geeky things. It is bliss. Pure bliss. Do you even need to know what the rest of the show contains? If you like Geek Therapy Radio, keep your money. Just do me a solid and share the link with your friends and tell them they should subscribe and share themselves. If you don't like it, take care of yourself and others anyways. The world needs more love now more than ever!